I found this really cool little article from The Fashion Court that talks about Bella's look and what she is wearing. Bella is referred to as Mama B. LOL Read the article here. Inside Bella's Closet has also posted about Bella's Belstaff Jacket in several blogs. Christilynn (who is cast as the Official Bella for Stephenie Meyer Day in Forks) always keeps us informed on the latest Twilight Garb. Check out her blog for more details. Soooo what do you think of this new picture? Will you be running out to hunt down this issue of Entertainment Weekly? I know I will!!! Be sure to check EW.com tomorrow for the FULL REVEAL! 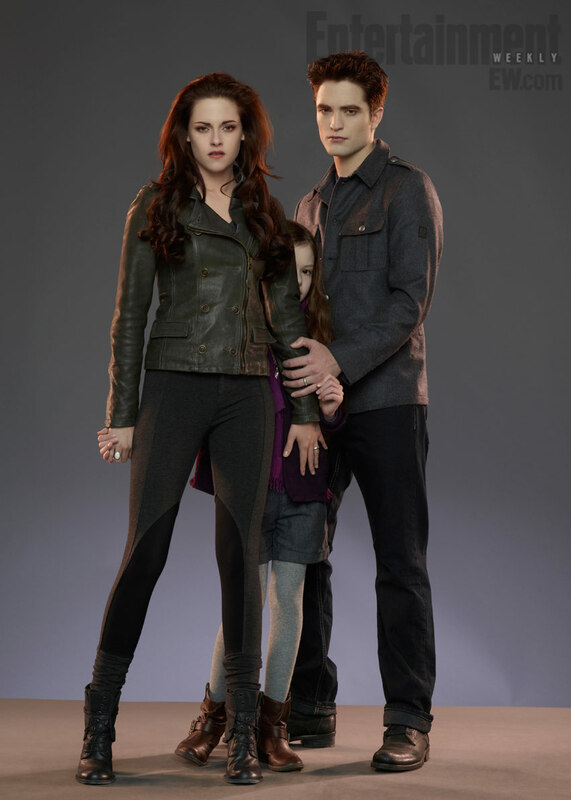 I really love this picture of the Cullen fam but when I got my EW mag it wasn't in there. Is it in the one with Jacob on the cover?